Rafa Benitez has assessed the chances of Real Madrid and Liverpool in the Champions League final and can’t decide between his two former clubs. 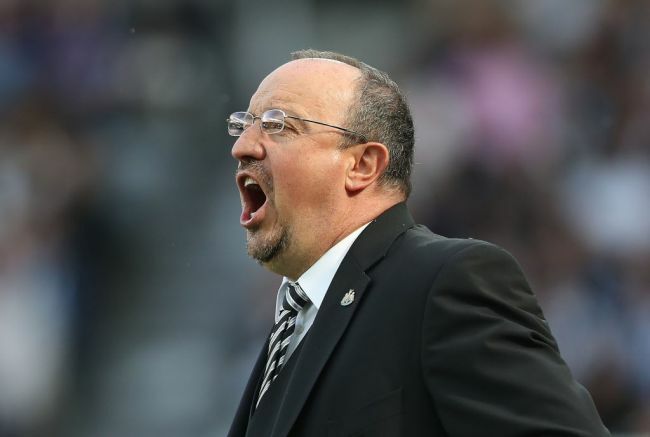 The current Newcastle United manager believes the Champions League finalists have contrasting advantages with Real Madrid having the benefit of experience while Liverpool offer a greater intensity about their game. Real have had to overcome some challenging moments, no less so than the remarkable fight back by Juventus in the quarter-final which required a late penalty to send Los Blancos through to the semi-finals. Liverpool meanwhile, have blitzed opponents scoring seven times at Porto in the round of 16 and putting five past Roma at Anfield in the semi-final. Quoted in Marca, Benitez said: “It will be a very interesting final,” Benitez said. “Watching Madrid against Juventus and Bayern, you realise they have experience and quality, know how to manage difficult situations in games. … That is a plus. Benitez doesn’t see a clear winner ahead of the game. Benitez managed Liverpool for six years from 2004 to 2010 and led the club to their first European success since the famous sides of the 1980s. In a classic final against Inter Milan, the Merseysiders came from 3-0 behind at half time to level the score 3-3 in the space of six minutes before lifting the Champions League trophy on penalties. His time at Real Madrid was much shorter. His three-year contract was terminated after only six months in January 2016 following a turbulent spell which included a 4-0 home defeat in El Clasico and Real Madrid being disqualified from the Copa Del Rey for fielding an ineligible player. Zinedine Zidane took over from Benitez and went on to win the Champions League and La Liga double with the same group of players. Of his tie at Real Madrid, Benitez said: “In my final stage at Madrid, those who understand and analyse a little what goes on around the club know why what happened happened. 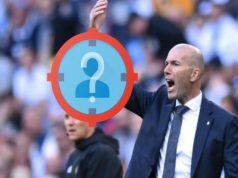 Former Real Madrid Coach Benitez is correct: Klopp and Zidane have the same football match philosophy and principles-attacking football with meaning mentality,but Zidane’s weakness is that is rigid on tactics/formation which robs off on the team.It is good that both coaches are rigid on principles,but it is good for Zidane, in this final on Saturday, to be flexible on tactics/formation(I sent this several times to Real Madrid’s & Zidane’s twitter handles-he didn’t change,but he/Real Madrid has been lucky-LUCK DOES NOT WIN EVERY TIME). ILLUSRATION:Zidane has been using 4-3-3/4-4-2,but the weakness has been the defence line which is not fully disciplined in-spite of having Ramos and Marcelo as the best duo in the world.RECALL:What did Brazil in at the last world cup was the way they were left with 2 or 1 defender when 2&3 and/one of the central defenders venture forward . Recently,although Madrid did not need that match,Villareal shouldn’t have equalised .The villain in the defence is really CARVAJAL. With the quality of players on the RIGHT WING,I ,as a Real Madrid fan for the past 48 years since my primary school days in Nigeria,Benzema, Modrich both who being UTILITY players and attackers do help the defence,we do not need CARVAJAL/anybody playing the right back venturing forward.Not only this,CARVAJAL draws opponents into our box 18 unlike VARANE/NACHO.But with skillful forwards like SALAH, MANE &FIRMINO, we need 3 standing defenders with only more skillful MARCELO allowed to help the attack I’d like to illustrate this with a more flexible tactic of mass attack, mass defence . Madrid has more quality players than CHELSEA,ARSENAL,JUVENTUS & ROMA for the tactical formation of 3-4-3/3-5-2.Chelsea learnt from the indiscipline of its 3 defenders during the two legs against Barcelona , although it was too late,defensive error led it to lose the top 4 after beating LIVERPOOL in the second leg of premiership.But it went ahead to beat MAN U with mass attack,mass defence tactical formation of 4-3-3 to win the FA CUP .Last season, CONTE & Chelsea won premiership after the formation was changed to 3-4-3.I agree that we were lucky against JUVENTUS & BAYERN MUNICH because we have more quality players both first 11 and on the bench.Madrid should learn from these matches like both legs of GUARDIOLA’s MAN CITY with more quality and experienced players than LIVERPOOL.Zidane and his players should study all matches involving Liverpool in the premiership and champions League.Even if Zidane wants to stick to 4-4-2 with which Madrid played the second leg of EL CLASICO with Barcelona that Madrid was lucky to have drawn,ONLY MARCELO SHOULD BE ALLOWED TO ATTACK. IF Zidane sticks to 4-4-2 ,only MARCELO should be allowed to venture forward with NACHO,RAMOS as central defenders and VARANE starting as 2,the standing defenders. FINALLY,Zidane and Madrid players should not allow LIVERPOOL to dictate the PACE of the match.Madrid should slow the tempo of the match because Liverpool runs a lot.